The Iranian air defense command has introduced a third generation evolution of the Hawk missile, locally designated ‘Shalamcheh’, operated along with new radar and ELINT systems. The Iranian Army has also tested its new Mohajer type drones during the recent exercises. 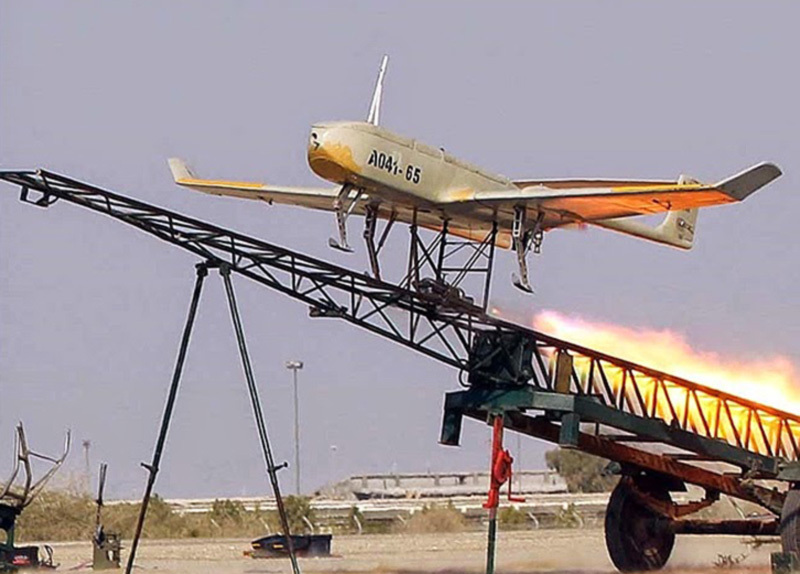 Mohajer-4 reconnaissance unmanned aerial vehicle (UAV) using Rocket-assisted rail launch. 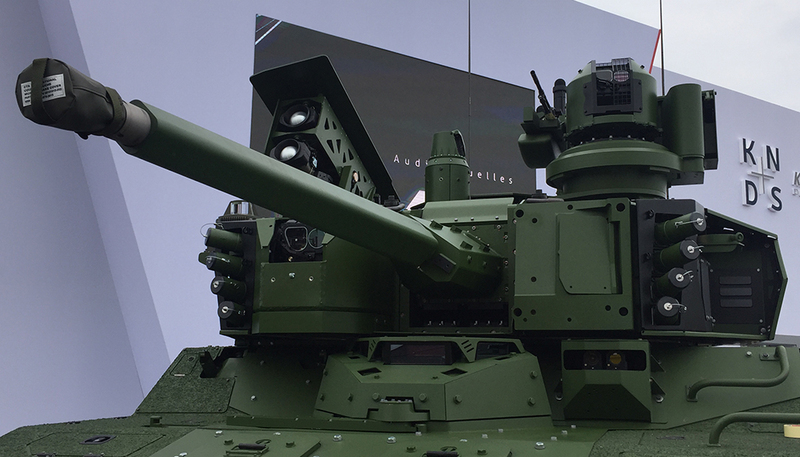 The vehicle has a forward looking nose camera and is designed to carry an EO payload under the nose, but this unit on a training mission does not carry this module. Photo: Chavosh Homavandi. Iranian Shalamcheh missile launched from the Khatam al-Anbia Air Defense Base in Southern Iran. Shalamcheh is the third phase of the an indiginously produced clone of the American Hawk missile, reverse engineered by the Iranians. 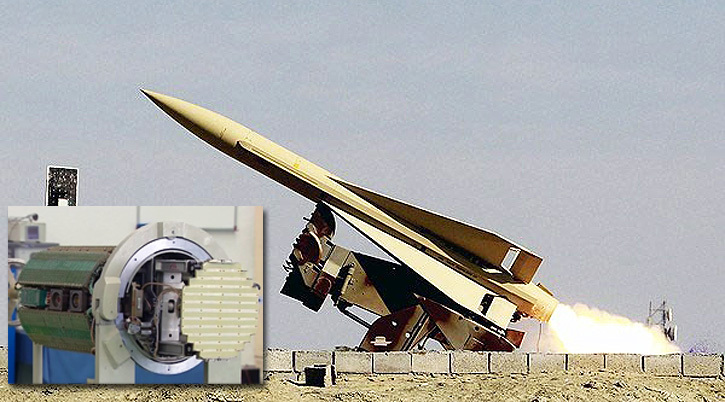 Shalamcheh is equipped with a modern, digital seeker developed in Iran (insert). The Iranian air defense command has introduced a third generation evolution of the Hawk missile, locally designated ‘Shalamcheh’. 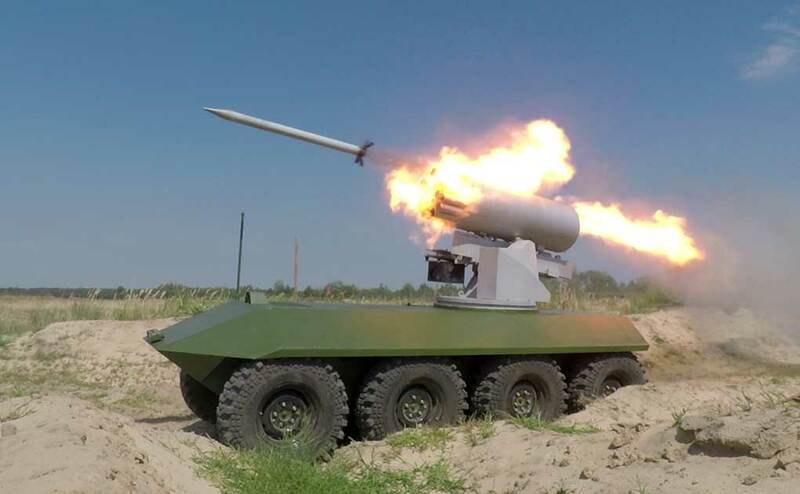 The missile was presented publicly at the Khatam al-Anbia, taking part in a firing demonstration, as part of the six-day ‘Muhammad Rasullullah’ week long joint forces exercise undergoing in Southern Iran. [ismember]The Iranians claim their version is more advanced and better immune to electronic warfare than the US original, developed in the 1970’s. Similar to the I-HAWK in shape and dimensions, Shalamcheh is a Mach 3 mid-range missile that can also be used as a short-range air defense system. 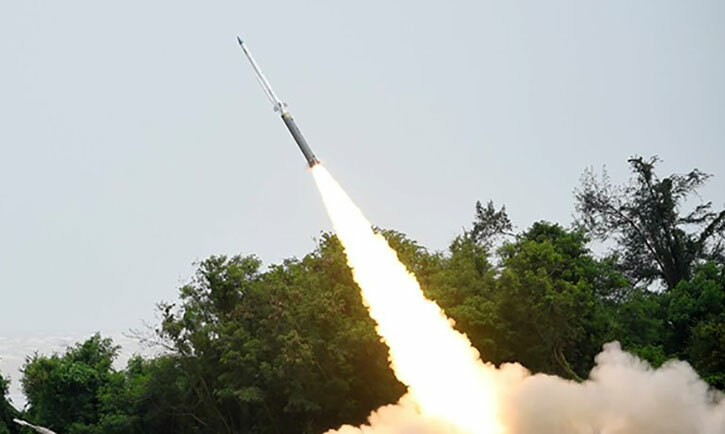 The missile can intercept targets at altitudes from 60 m’ to 18km and at a maximum range of 40 km. Iran’s air defense command is also concerned with the threat of drones and cruise missiles. During the exercise several air defense systems were deployed, some performed missions in front of the media, demonstrating how domestically improved Hawk missile systems shoot down target drones. Locally produced in Iran under the designation Shalamcheh, the missile represents the third evolution of the locally produced Raytheon MIM-23 Hawk air defense missile clone. 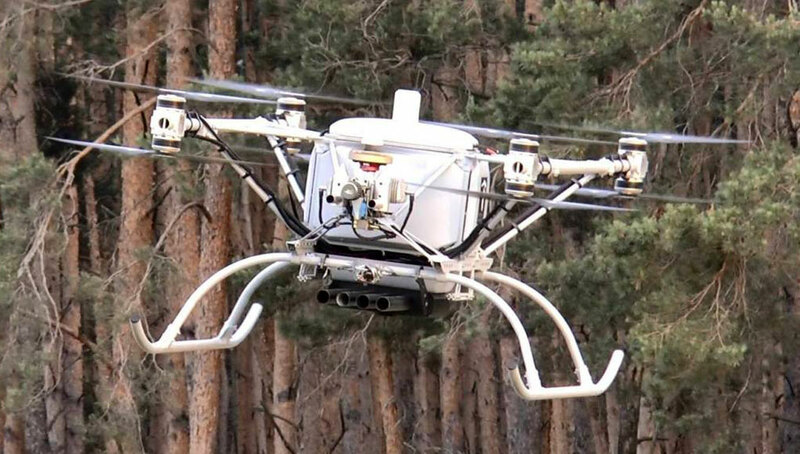 In addition, the Iranian military have tested two new home grown variants of the ’Mohajer’ (Migrant) unmanned aerial systems during the exercise. 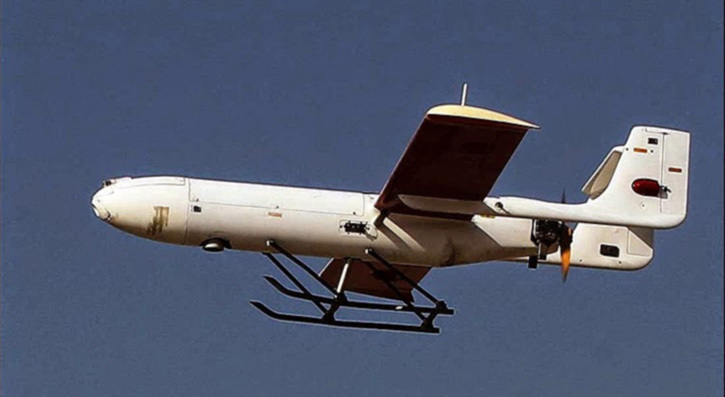 According to commander of the Iranian army ground force Brigadier General Ahmad-Reza Pourdastan, the Iranian ground force employed Unmanned Aerial Vehicles (UAVs) in the ongoing drill in two phases – supporting both on the friendly and enemy sides. 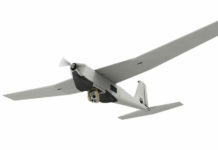 Ghods Mohajer-2 reconnaissance unmanned aerial vehicle UAV. Photo: Chavosh Homavandi. Two new drones named Mohajer 2-N (M2-N) and Mohajer 4 (M4) were tested in the recent exercise for the first time. 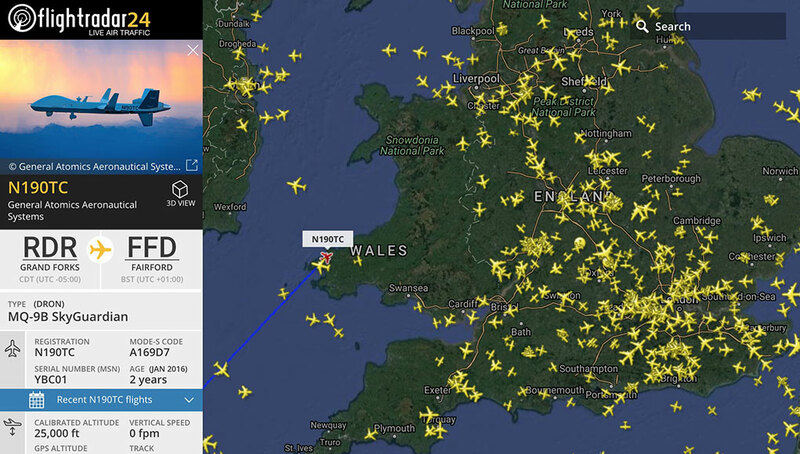 Both are designed for reconnaissance missions. The drones were unveiled last month at the bi-annual arms expo at Kish Island. During the exercise the drones support ground and artillery units providing intelligence and targeting data. Both M2-N and M4 carry a nose mounted camera. the M4 also has a belly mounted EO payload. On armed missions they can carry weapons on launching racks installed underneath the wings. According to Iranian media, the new drone can be employed for a range of military and civil operations, including aerial reconnaissance and patrol missions, traffic control, rescue and relief, cartography and oil pollution control at the sea. The M2-N weighs 90 kg and has a wing span of 3.8 meters. The operational radius of M2-N been extended to 150 kilometers and the flight endurance has reached 6 hours (x4 increase over the previous model). Mohair has an operational flight ceiling of 11,000 feet, and a maximum speed of 180 km/h. The drone uses skids or parachute for landing, while takeoff is assisted by pneumatic catapult or a rocket booster. Another drone recently unveiled by Iran at the Kish exhibition is an unmanned rotorcraft called Yasin. According to media sources Yasin can carry a payload of 15 kilograms and reach an altitude up to 3,000-feet on missions lasting up to 70 minutes. [ismember]According to military sources, part of the growth and diversity of UAV systems is the country’s indigenous production of UAV propulsion systems. Addressing an academic conference in Tehran on Thursday, the Islamic Revolution Guards Corps (IRGC) Lieutenant Commander Brigadier General Hossein Salami said the country’s local experts have managed to manufacture advanced and efficient rotary engines that extends the range of drones to 3,000 kilometers. He said that Iran has already exported UAV engines to other countries.